The 814 is the most popular guitar in the Taylor line-up because of it’s overall versatility and excellent tone and balance. 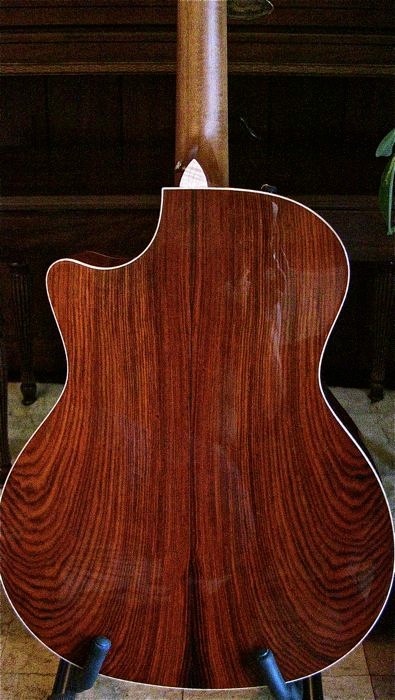 Pairing up this body shape with the Cocobolo and Spruce makes this my ‘Holy Grail’ of guitars. I was very impressed by the depth of tone but clarity across the tonal spectrum. It plays with a great feeling of ease. Few woods can match cocobolo’s assertive visual beauty, expressed through bold, fiery hues and dramatic variegation. Tonally, cocobolo is known for its volume and a deep low end that’s balanced by an overall brightness, making it a favorite among players. 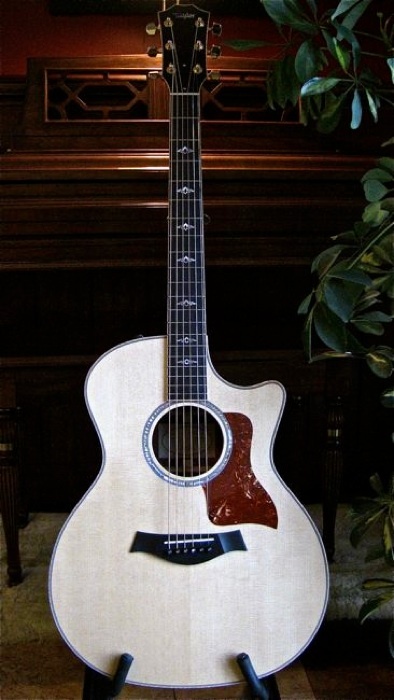 Normally used for the Presentation Series and Build to Order guitars, here it guest stars with the premium 800 Series appointments, featuring curly maple binding and the popular pearl inlay design.